During the winter quarter of 1999 at Cal Poly Russ Angold, Bobby Pierce and Myles Anderson completed the design and construction of a Modified Tractor that is now seen promoting the Ag Engineering department at various County Fairs around California. The tractor was completed under the expert guidance of Dr. Mark Zohns and Gary Weisenberger, professors at Cal Poly and Goes by the name "MUSTANG FEVER"
Check out the tractors being built at Cal Poly to compete with Mustang Fever! 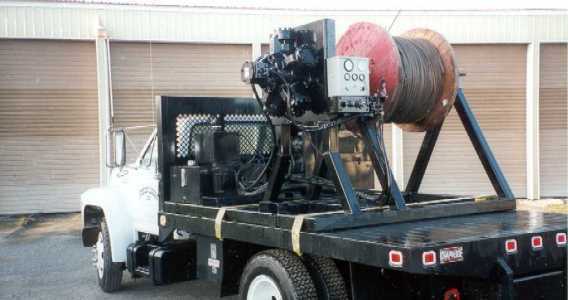 Mark Zohns' project "Bail Out"
During the Spring quarter of 1999 Myles began work on his Senior Project, a Cable Spool Rig for use by Anderson Logging Inc. 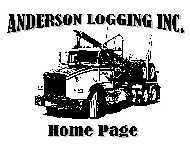 The main use of the Spool Rig is to transport cable to and from the woods for replacing worn haulbacks and mainlines on the yarders operated on the various sides by Anderson Logging.